A new London-based Master’s in Irish Studies will be launched by the Ambassador of Ireland to the United Kingdom, Adrian O’Neill, at the Irish Embassy on October 18. 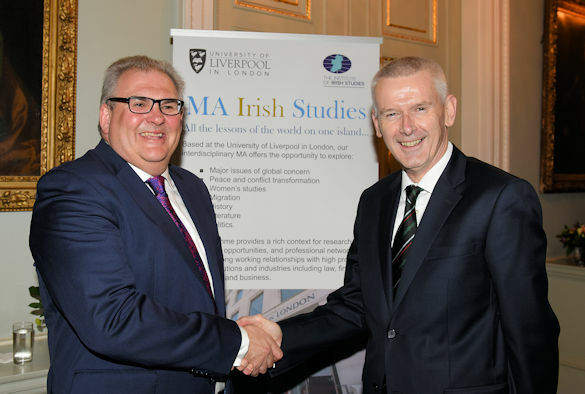 The University of Liverpool’s Institute of Irish Studies is offering the interdisciplinary MA programme at the University’s London campus in Finsbury Square, building on the Institute’s reputation for delivering research-led teaching of the highest standard. 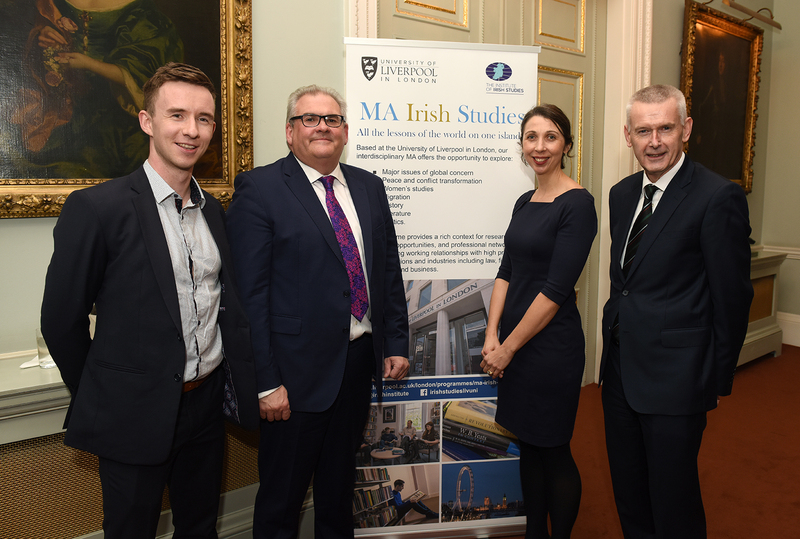 Adrian O’Neill, Ambassador of Ireland to the United Kingdom, said: “I am delighted to launch this new Master’s Programme in Irish Studies. The MA in Irish Studies provides students with the opportunity to explore major issues of global concern: peace and conflict transformation, women’s studies, migration, history, literature and politics. London’s history and demography make it the fourth largest ‘Irish’ city in the world, and its contemporary economic, political and cultural connections mean it is an ideal location for Irish Studies. Students will also be offered the chance to experience cultural activities at no extra cost. Professor Pete Shirlow, Director of the Institute of Irish Studies, said: “The MA in central London is a major opportunity for people who wish to develop their career, move onto a PhD or study for the love of learning. Our MA programme merges modern and contemporary Ireland into a series of modules that promotes skills in analysis.